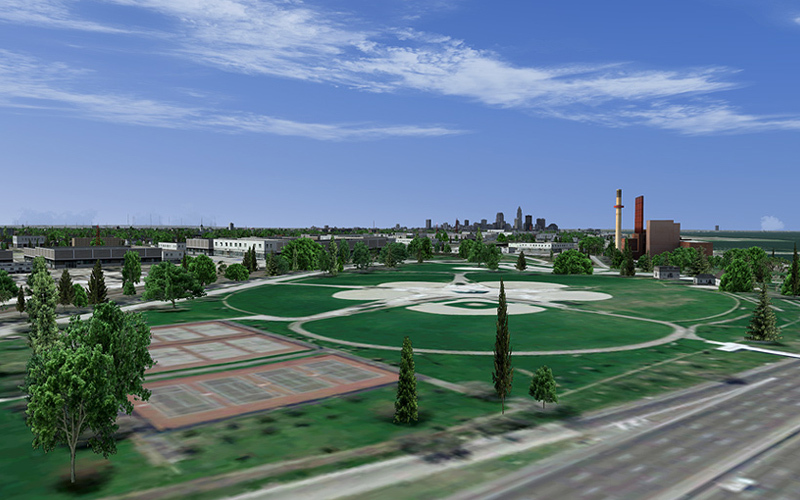 Produktinformationen "US Cities X - Cleveland"
Aus fliegerischer Sicht gehört Cleveland zu den bisher aufregendsten Städten aus der beliebten US Cities X - Serie. 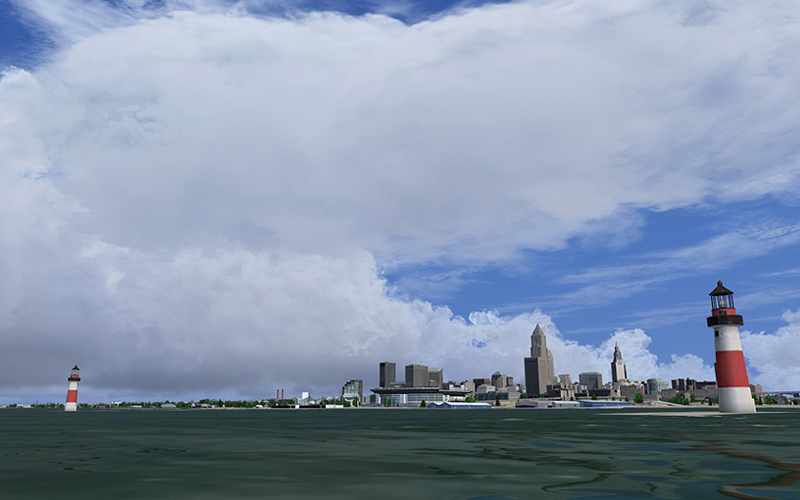 Erleben Sie echtes Großstadt-Feeling wenn Sie von einem der letzten Downtown Airports in den USA starten oder fliegen Sie zum Inselhüpfen zu den Lake Erie Islands westlich von Cleveland. 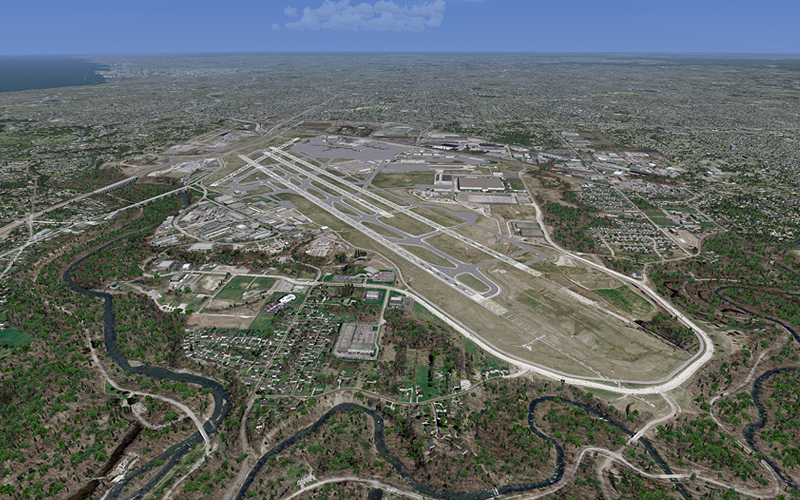 Genau wie seinerzeit Meigs Field in Chicago, liegt der Burke Lakefront Airport direkt am Wasser. 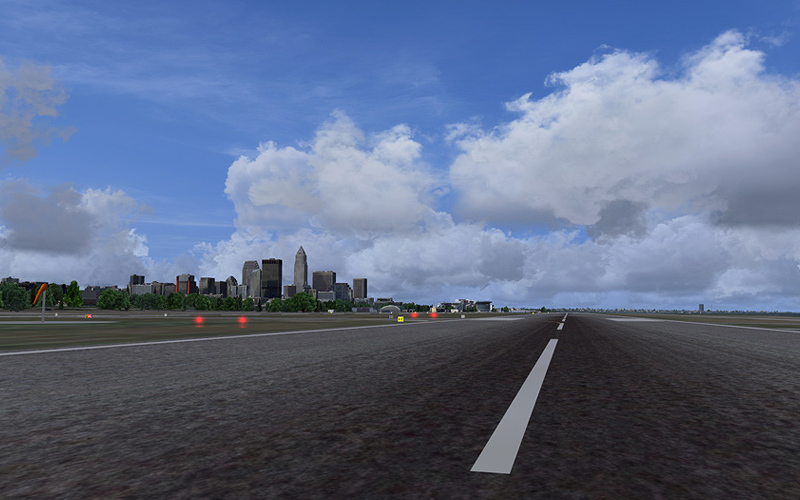 Der Anflug vor der beeindruckenden Kulisse von Downtown Cleveland ist ein optisches Highlight. 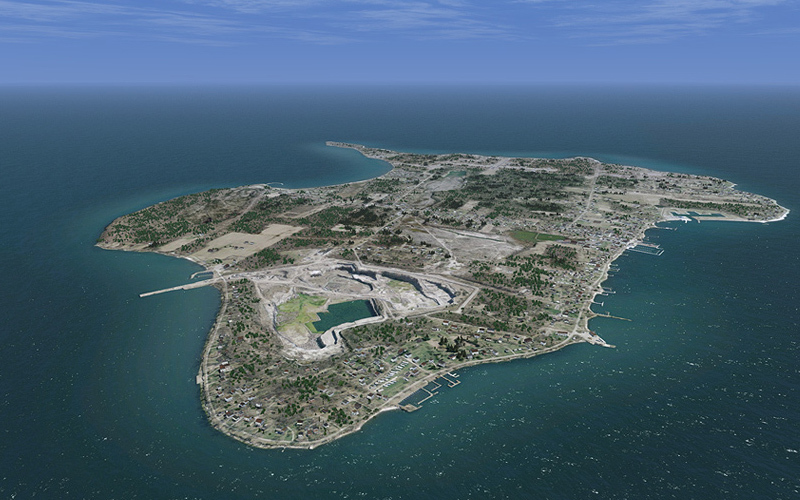 Sei es das Browns Stadium, das Windrad des Museums für Naturwissenschaften oder das Kraftwerk am Seeufer des Lake Erie. Alle diese markanten Gebäude liegen unmittelbar in der Einflugschneise. 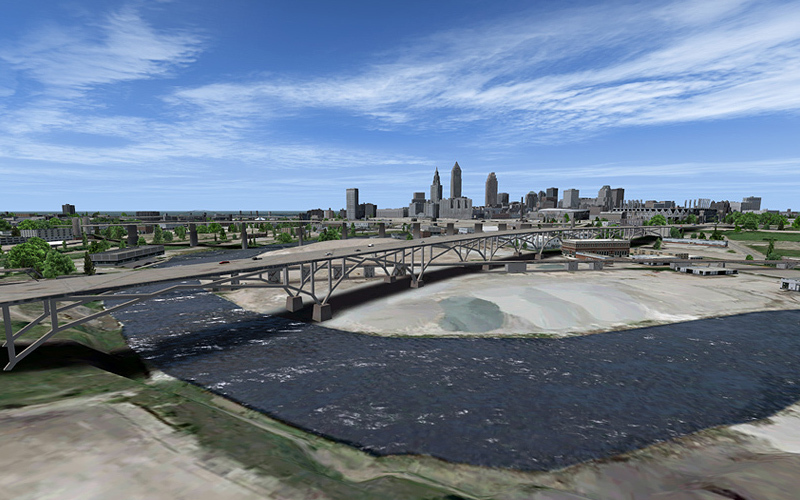 Darüber hinaus bietet sich dem Piloten ein fantastischer Blick auf die Skyline mit den zahlreichen Brücken die über den Cuyahoga River führen. Zu den größten Veranstaltungen gehört die Cleveland National Air Show, bei der sich jährlich über 100.000 Besucher am Seeufer des Lakefront Airports versammeln. Regelmäßige Stammgäste der Flugshow sind die US-Kunstflugstaffeln Thunderbirds und Blue Angels. 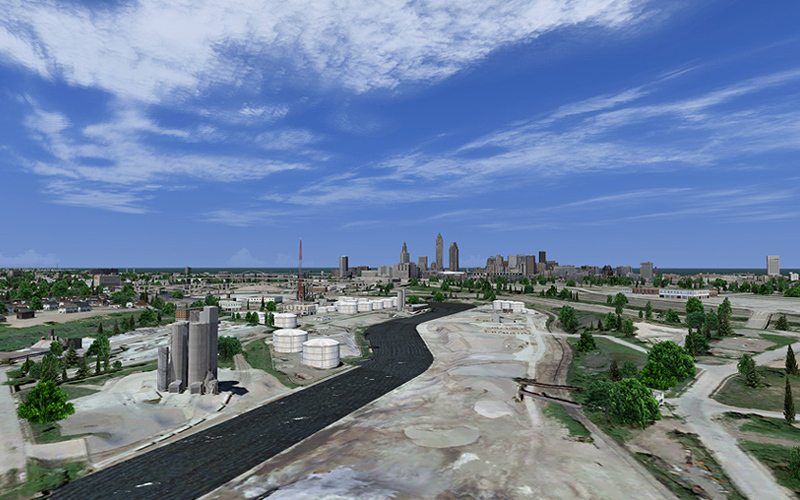 Natürlich ist das noch nicht alles was Cleveland zu bieten hat. Genau wie bei den anderen US Cities sind auch in dieser Szenerie wieder zusätzliche Boni enthalten. 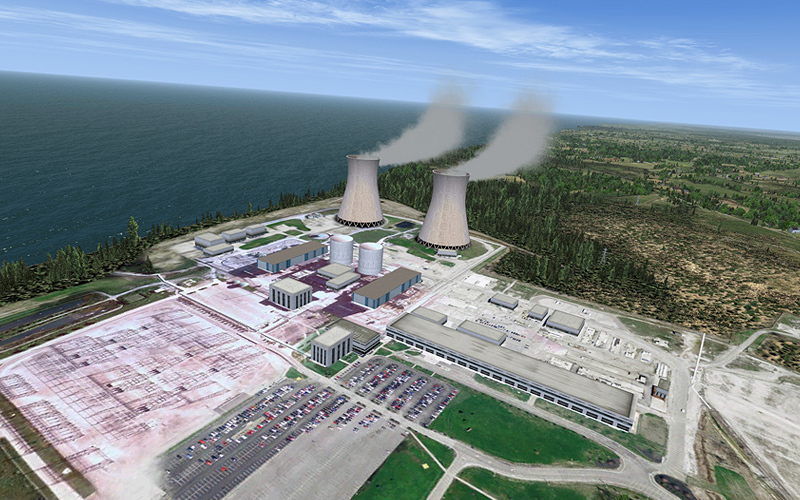 Dazu gehören das Perry Atomkraftwerk östlich der Stadt, übrigens ein idealer Navigationspunkt für Ausflüge zu den Niagara Fällen, oder die kompletten US Lake Erie Islands westlich von Cleveland. 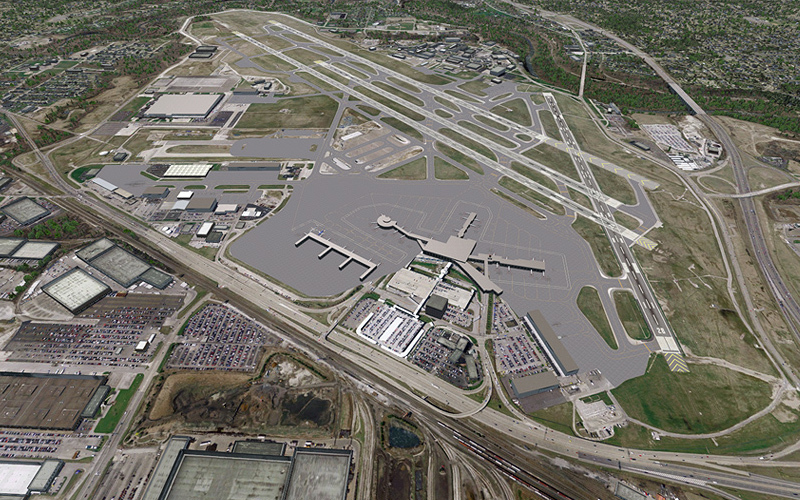 Hier können Sie sich beim Inselhüpfen vom Großstadtgetümmel erholen oder einen Zwischenstopp auf Ihrem Flug nach Chicago einlegen. 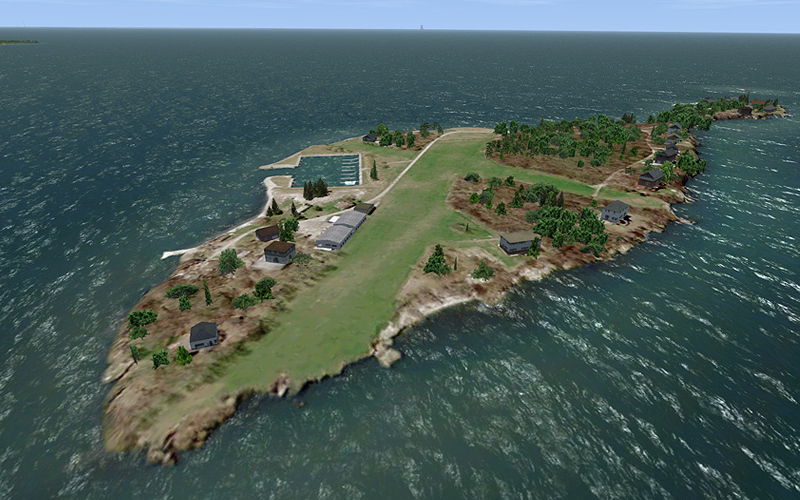 Das wohl markanteste Gebäude, das 315 Fuß hohe Friedensdenkmal liegt auf South Bass Island. Bonus-Szenerie: Inselhüpfen auf den US Lake Erie Islands! 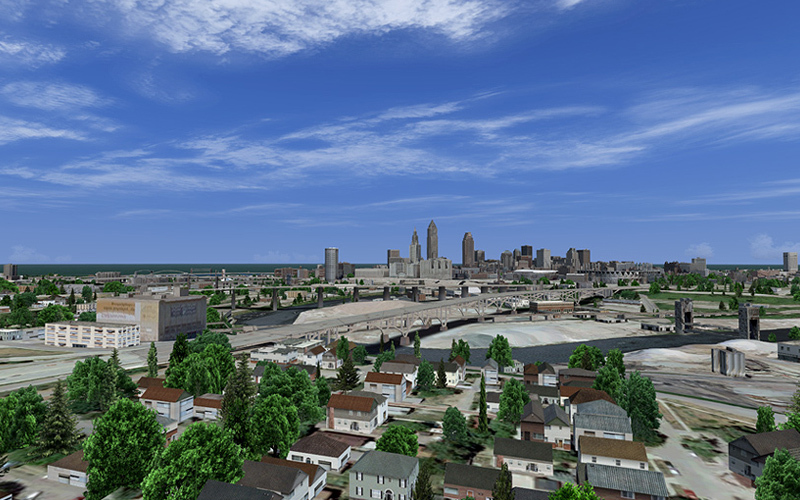 "In my opinion the designers of Cleveland X have done a sterling job, recreating the city and its surrounding area to a resonable level of detail, (naturally when viewed from an appropriate height). 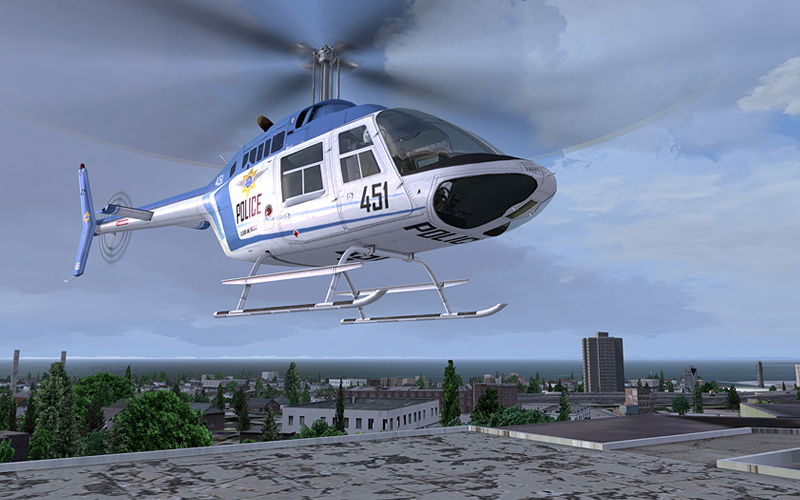 This has all been done without sacrificing those all important frame rates; and without missing the whole point of simulated VFR, which is to explore your surroundings in a realistic and above all enjoyable way. Considering the price, you get a lot for your money. Recommended!" 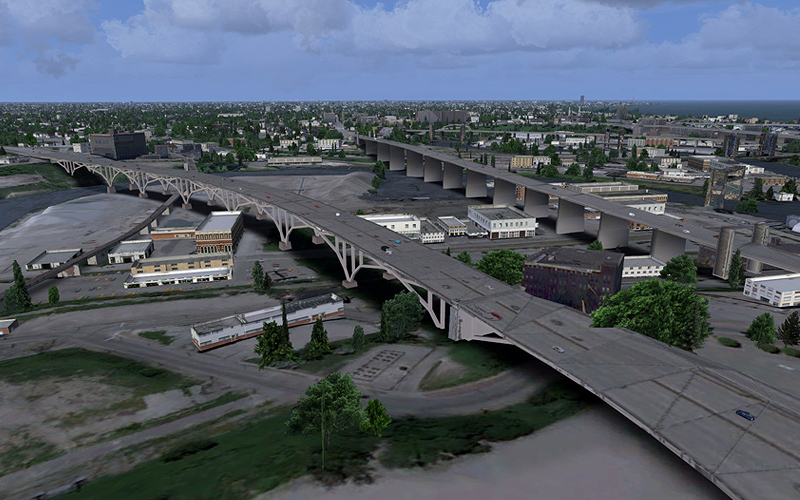 "As is the case with all Aerosoft products, this scenery package maintains a high standard that few if any can duplicate. The amount of work involved is enormous considering the small asking price. This is value. 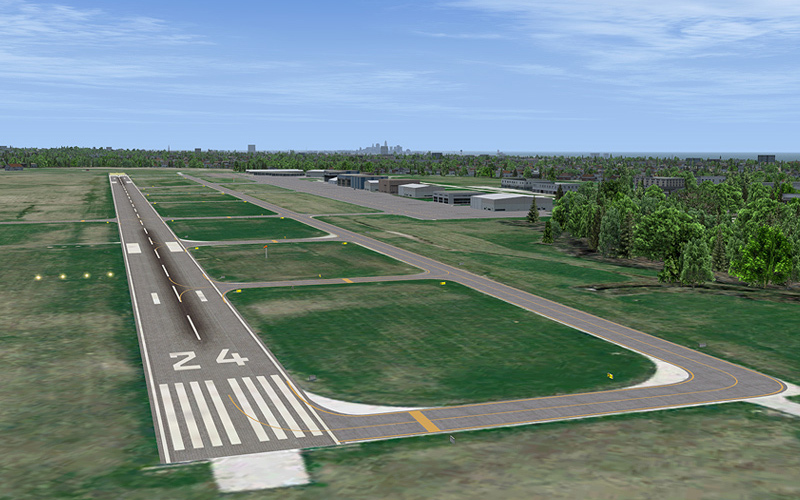 With 3 major airports improved with underlying photo terrain, realism to your approaches is enhanced even without the accurate building reproductions. 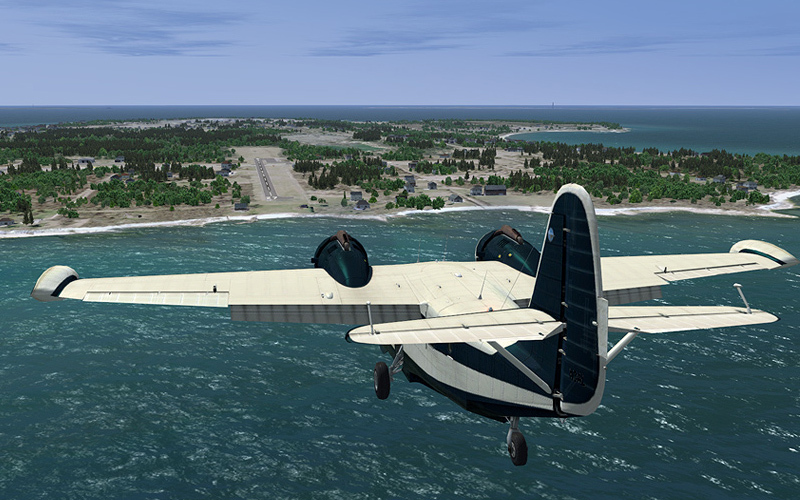 Addition of the islands adds more fun for exploring, with great airfields to use as small airplane bases.With Toronto, Chicago and Detroit default enhanced airports nearby, there is connectivity galore. 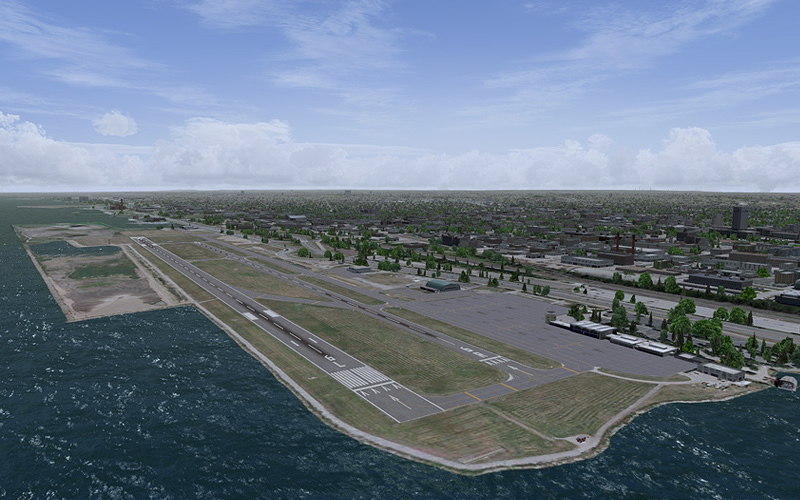 Like I've always said, FSX is great as long as both departure and arrival airports have scenery enhancements." 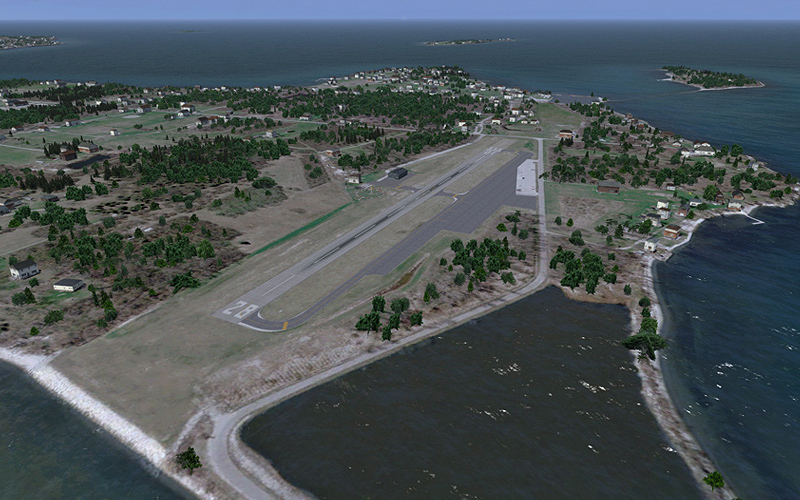 "This is a competent scenery/airport add-on from Aerosoft, built for a price. 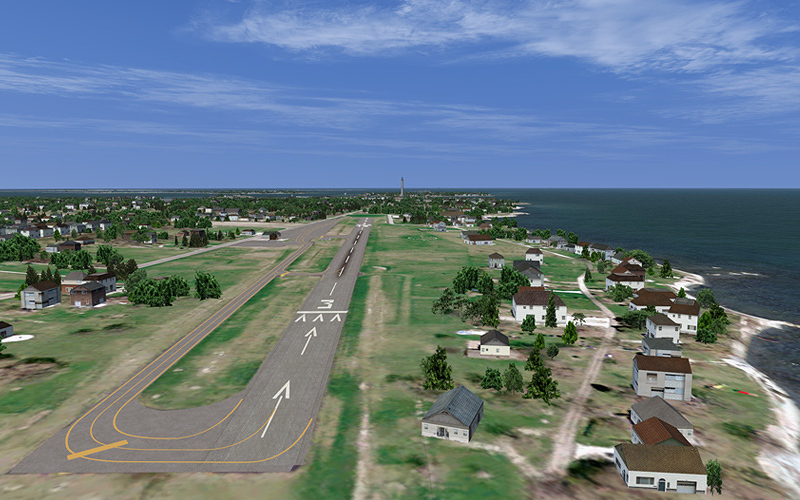 The airports, airfields, helipads, etc are well modelled and the accuracy is pretty good. 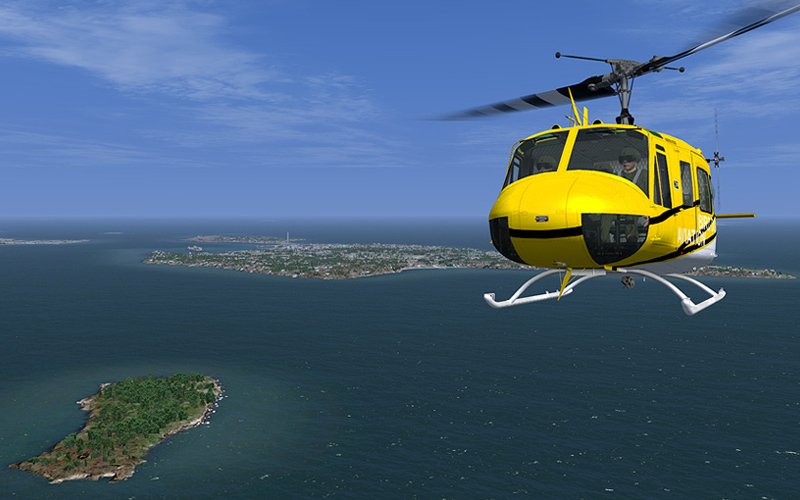 There’s a lot to see easy to fly with great visibility for miles around (except when the weather is bad!). The lack of detail in some the buildings when others were built to a very high standard is also a little disappointing, but all in all, it is value for money. The lack of night textures did not worry me, but it would have been nice had they been included. 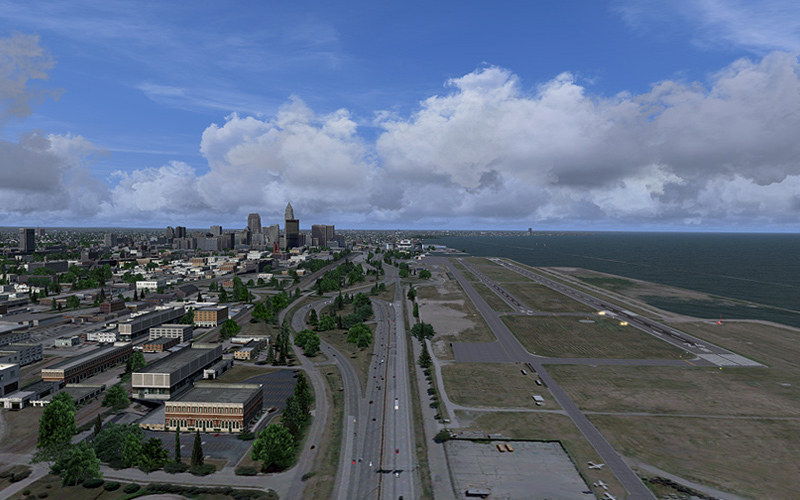 My final thoughts are that it is a very nice professional package, and as I have said many times before, once you fly around, into or out of US Cities-X Cleveland you will find it very difficult to fly in the default FSX scenery." 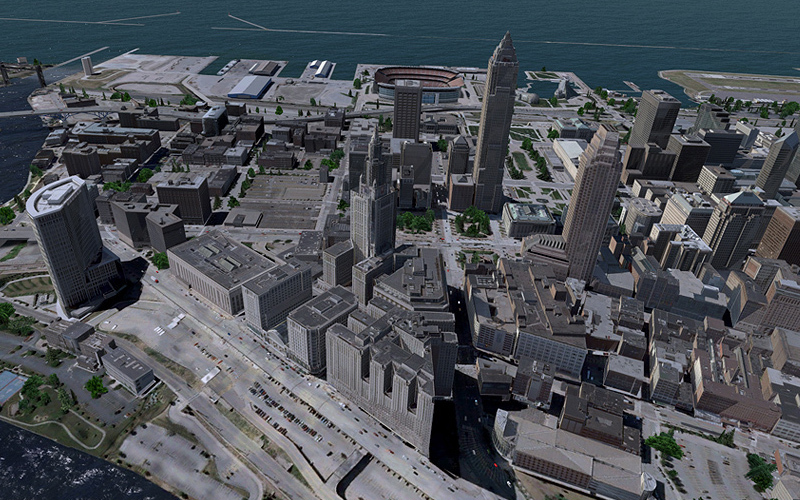 Weiterführende Links zu "US Cities X - Cleveland"